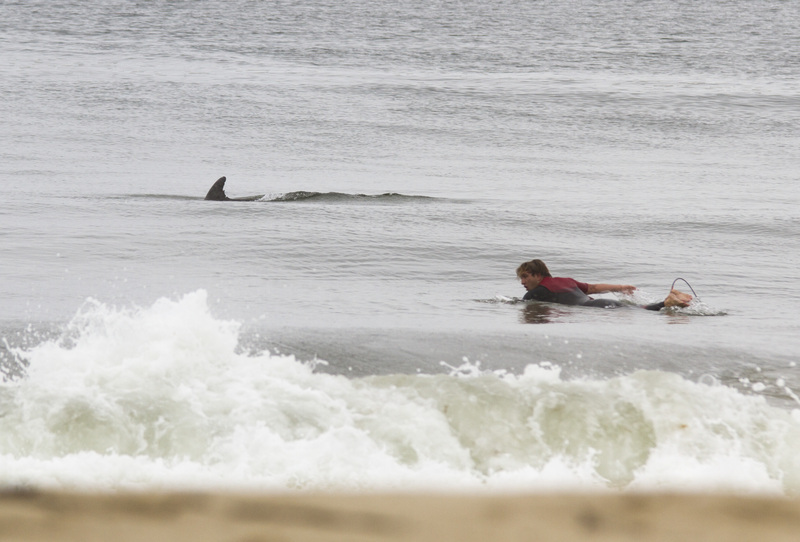 Reportedly a 5-6 foot Great White attacked a swimmer who was swimming with a group of others near the Manhattan Beach Pier at approximately 9:30am. Alex Shea was working just south of the pier when he noticed a group of swimmers yelling for help. Others came out to help paddle him back in. Reportedly those who helped paddled the attack victim back to shore said they might have seen muscle from the chest area wound. ***Update. The report above was the only information that I had received at the time of posting. Several eye witness reports say that the shark had been battling a fisherman who was reportedly attempting to hook the great white. The fisherman had been struggling with the white for almost 45 minutes. Witnesses also report that some fisherman were chumming the water. 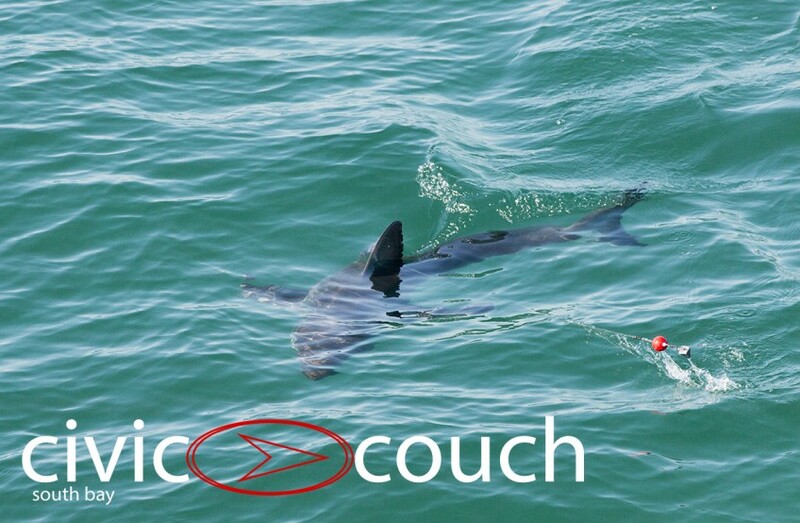 The great white is legally protected in California’s Fish and Game code. 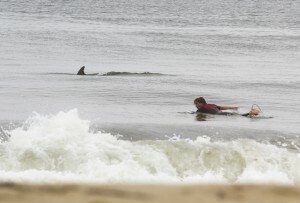 A dolphin swims past surfer Chris Wells.